Visitors walk by David Boyer’s Getting Your Bearings at the Newport Beach Civic Center Park phase III sculpture exhibition in 2017. The next phase of the sculpture exhibition in the Civic Center Park is moving forward following a Newport Beach City Council decision last week. Council voted 7-0 on Jan. 8 to approve the City Arts Commission request to waive the conditions applied to Phase IV of the Sculpture Exhibition in Civic Center Park, and transfer of $19,711 from the Cultural Arts Professional and Technical Services account to the Cultural Arts Sculpture Exhibition in Civic Center Park Phase IV. They will still have “ample” funds in the professional services account in order to accomplish other responsibilities, like installing art in the library, Library Services Director Tim Hetherton confirmed. Councilman Brad Avery said he has watched the progress of the art in the park over the years. It’s been desperately needed for many years, Avery added. It’s a nice, quiet place to step away from the city buzz, he added. The total expense for the exhibition, which was first installed in 2014, is about $135,000 per phase, and includes artists’ honoraria, installation, de-installation, and project management. The current Sculpture Exhibition Phase IV budget is $34,711 short of the total amount of funds necessary to pay for the project. 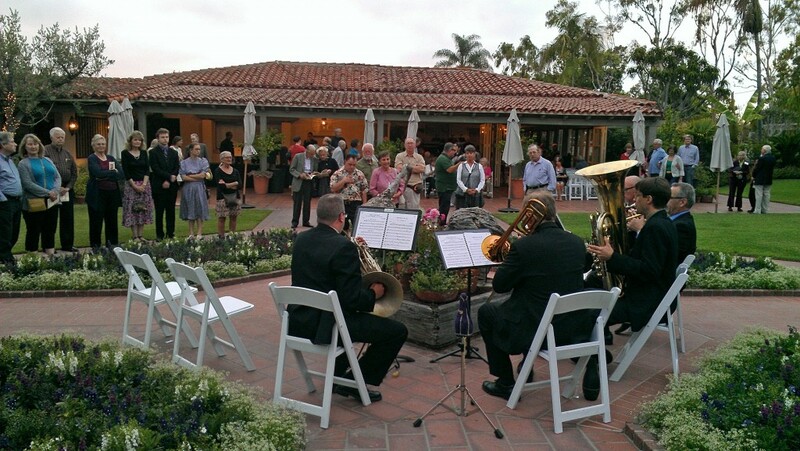 In order fill the gap, the Arts Commission requested the transfer of funds, which will augment recently donated private funds of $15,000 from the Newport Beach Arts Foundation. “We are very happy to support them,” said Foundation President Virginia Hayter as she urged the Council to continue the project. Hayter noted how popular the sculpture garden is with families, kids, locals and visitors, and even bridal parties. It’s very photogenic and helps bring attention to the area, she added. The sculptures allow residents and visitors of all ages to pause, reflect, and interact, Commission Chair Arlene Greer agreed. It also provides educational opportunities, she added. From the first phase of the sculpture garden exhibition, Ray Katz’s “Odyssey” looms over the Newport Beach Civic Center in 2014. The Commission and Foundation have worked hard to secure private donations to augment the city provided funds, Greer said. The transferred funds will ensure that phase IV is completed, Greer commented, and will motivate them to raise more for future phases of the exhibition. 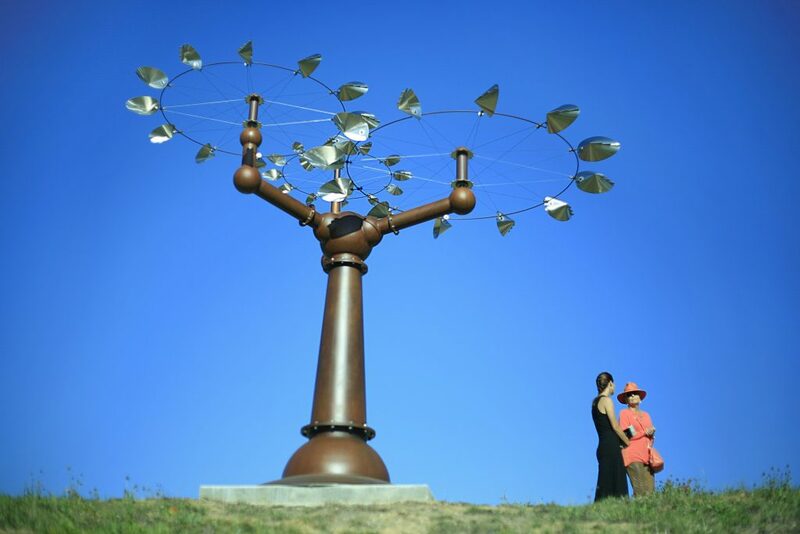 In August 2013, Council authorized the City Arts Commission to implement a temporary sculpture exhibit in Civic Center Park. Council approved the installation of 10 sculptures in Phase I in 2014 and an additional 10 in Phase II in 2015. Council approved Phases III and IV of the Sculpture Exhibition at the April 11, 2017, regular meeting. Arts OC and installation experts Display Inc. installed nine pieces in the park during September 2017. Phase III will be de-installed in September. Phase IV total project cost is $134,711, including $84,711 for project management and installation, and the $50,000 honoraria. As part of the approval of Phase IV, Council directed that the funds for the artists’ honoraria should come from private sources, and, as a result, the Foundation raised $15,000. The city typically provides an honorarium of up to $5,000 to each individual artist to compensate them for loaning their work for two years, for a total of $50,000 for the entire project. Council also directed that the Arts Commission and staff reduce project management fees by 50 percent, and that city staff handle the installation. Last week’s decision waived those conditions. The budget submitted by Arts OC during the open bidding Request for Proposal process in past years is typically around $80,000 for everything required for the project. The amount Arts OC has quoted for project management and curation, $37,500, is consistent with their fees for similar projects with other clients, based upon the scope of work required by the city, the staff report explains. In the RFP process in the past, there were no other qualified bidders, which suggests that the city’s current budget for the project is already at or below market rate, Hetherton pointed out. Arts OC has done a great job over the years, Hetherton noted. They’ve increased community engagement as well, he added. The City Arts Commission will use funds already allocated in the current Cultural Arts budget and will require no additional funding from the city to stage the exhibition. 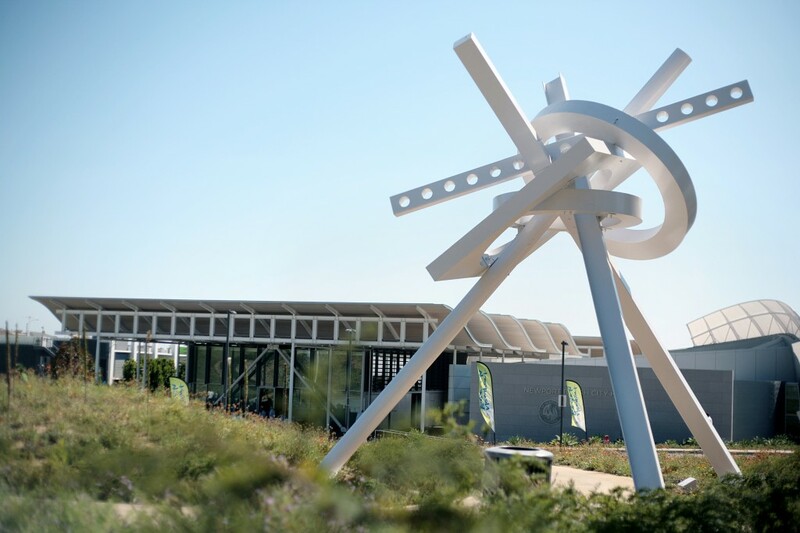 The sculpture garden has been successful over the first few phases, bringing positive publicity and widespread attention, noted Carmen Smith of the Arts Foundation. Going forward, they will work very hard to bring more money to the table, Smith said. But donors need to know that the exhibition is going to continue and it’s not a “one-shot deal,” Smith noted. In other arts news, the Commission presented the 2018-19 Cultural Arts Grants during their meeting on Jan. 10. Grants were awarded to eight different organizations: $2,000 to the Balboa Island Improvement Association; $4,000 to the Music Festival, Corona del Mar; $2,000 to the Chuck Jones Center for Creativity; $1,000 to the Ensign Intermediate School Dance Club/Newport-Mesa Unified School District; $5,000 to the Newport Beach Film Festival; $2,000 to the Newport Beach Sister City Association; $3,000 to the Newport Elementary School Foundation; and $5,000 to the Pacific Symphony.